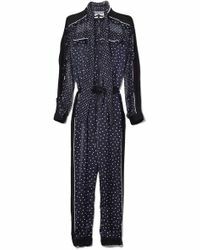 If you love polka dot prints but find dresses too feminine, we have the perfect alternative. 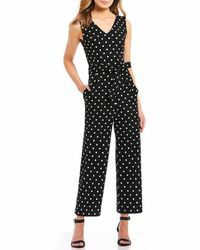 A statement-making look in one piece, the polka dot jumpsuit is an easy way to feel party ready in seconds. 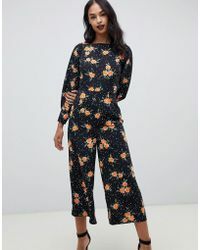 There are no rules when it comes to this piece, either – whether you pick Finery London’s floaty jumpsuit with sheer sleeves or Mango’s retro belted style, there are many ways to wear it. 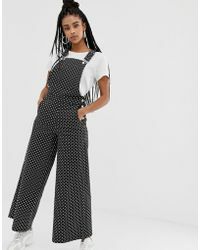 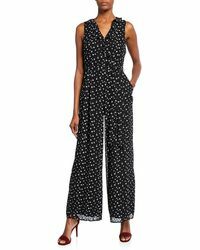 Whistles, Zimmermann and Missguided all have polka dot jumpsuits that will make an impact – just add heels.